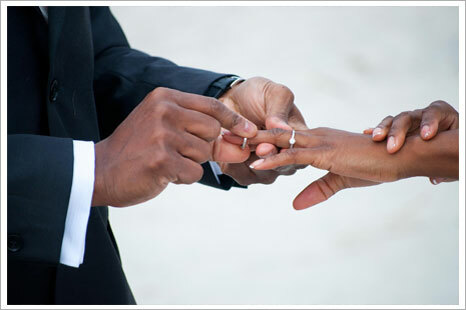 Marriage is a covenant by which a man and woman establish a partnership as a couple with God for their whole lives. By its very nature it is ordered to the well being of the spouses. To be valid, Catholic marriage must take place in the church before a priest or deacon and two witnesses. To appreciate this special vocation, those who are planning to marry at Holy Family parish must be part of our marriage preparation program. Once you have decided to be married in the Catholic Church, contact Betsy Staal at least six months prior to the intended date of marriage to confirm availability and complete preparation. Please contact Betsy Staal or call 425-822-0295 for more information. This process is offered to those adults who have experienced an unsuccessful marriage and are seeking to petition the Tribunal of the Archdiocese for a possible invalidity. The parish has professionally trained and appointed advocates to assist any inquiring individual. The process brings reconciliation and healing to those experiencing the pain of a failed marriage and wishing to be free to marry in the Catholic Church. Please contact Betsy Staal or call 425-822-0295 or Norm Bross for more information about the process. Natural Family Planning (NFP) is a way of life that incorporates fertility awareness, responsible parenthood and self-mastery into married love. Please contact Marie Carson at marie.k.carson@gmail.com for more information about FertilityCare™ and the Creighton Model.